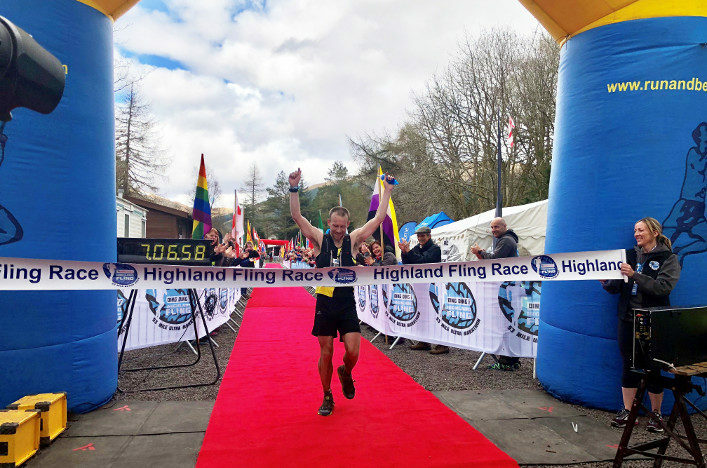 As host to the 2018 Scottish Ultra Trail Championships, the starting list of over 800 once again included some of the UK’s finest ultrarunners. 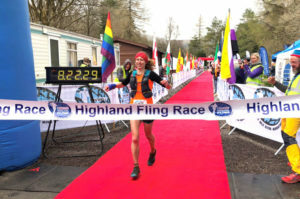 The 53-mile race along the West Highland Way from Milngavie to Tyndrum is arguably the UK’s biggest and most competitive ultra-distance event. The pre-race favourite was Aberdeen Metro and GB international, Kyle Greig. He made his intentions known from the gun and was out in front within metres of hitting the main street of Milngavie. He gradually built a lead over his nearest rivals and was two minutes up on Rob Sinclair’s course record of 6:41 by Drymen (12 miles). Kylle paid for the early exertion in the latter stages, but still had a lead of over 20 minutes over the 2nd runner at Beinglas (41 miles). It was touch and go whether Greig would join the exclusive sub 7-hour club, but a finishing time of 7:06:56 is a very respectable time. An incredible rise for an athlete who only ran his first marathon two years ago. Greig commented: ‘Overall I’m very happy with my race and getting the Scottish title. 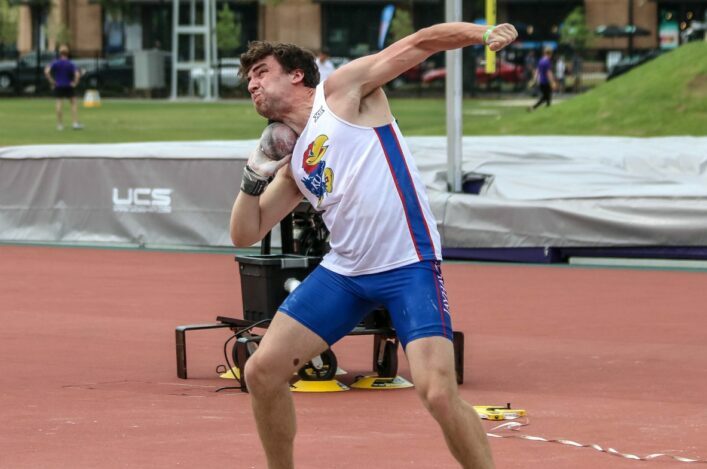 I would have hoped to run quicker, but the technical section took a little more out of me than I had expected. The battle for the other two podium spots and Scottish championship medals changed frequently throughout the race. John Connolly (Pyllon Racing) was patient and content through Drymen in 8th place. By Balmaha (19 miles) he had moved up to 5th and then 3rd by Beinglas, with Jon Ellis (Ealing, Southall & Middx) less than two minutes ahead. Connolly closed the gap within the closing mile and finished with a 23 minute course PB in 7:36.11, taking Scottish silver and Masters Gold. Ellis crossed the line to complete the podium in 7:37:16. 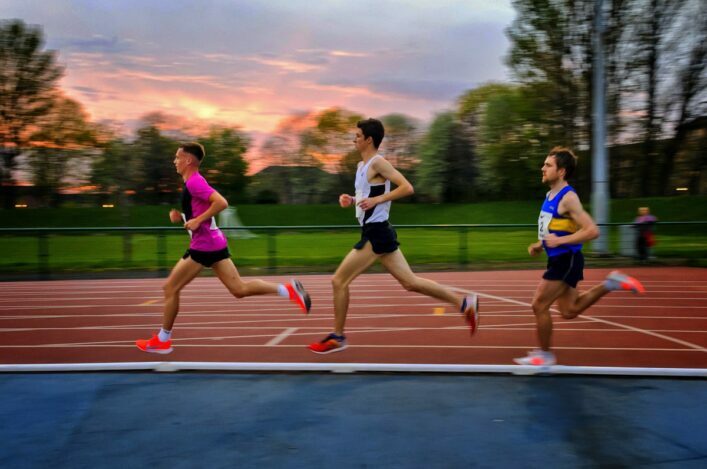 The Scottish Championship podium consisted of Greig (Aberdeen Metro), John Connolly (Pyllon Racing) and Nicholas Wolverson 7:54:44 (Edinburgh AC). The women’s race was billed as being the most hotly contested and it did not disappoint. Outside favourite Carla Molinaro took an early lead and was over five minutes ahead of Nicola Duncan (Carnethy) and Sophie Mullins (Fife AC) at Drymen. Last year’s podium women, Nicola Adams-Hendry (Garscube), Morgan Windram-Geddes and Rachel Normand (Carnethy) were more content with their pacing, rather than racing, in the early stages. By Balmaha, Molinaro has a six-minute lead on Duncan, with Normand and Adams-Hendry one minute behind. Molinaro dropped out north of Loch Lomond, leaving team mates and training partners Normand and Duncan to battle out for first place. Normand eventually took the lead and won in 8:22:23, with Duncan close behind in 8:26:54. Gemma Carter (Serpentine) reaped the benefits of a conservative race strategy and worked her way through the field to complete the podium in 8:46:54. Last year’s winner Adams-Hendry put in a gutsy performance to finish 5th in 9:04:17, taking Masters Gold. 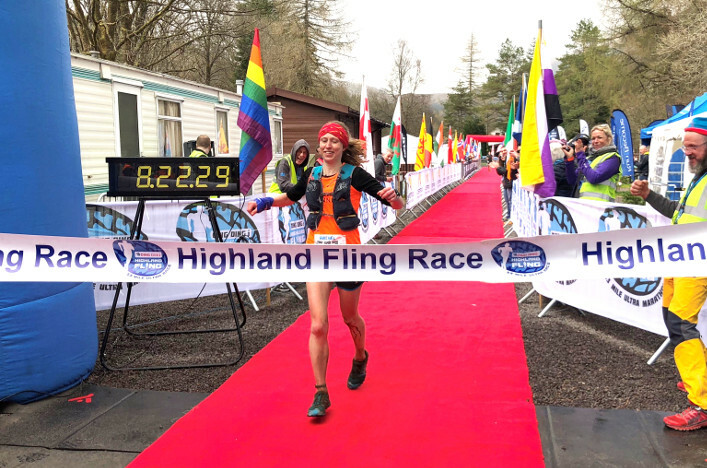 Rachel Normand said: ‘I planned to go out steady and was confident enough to let others go out fast at the start, then started to overtake people after Balmaha. The few miles into Inversnaid I ran with my training buddy Nicola and I knew if I wanted to make up time it would have to be on the technical loch-side section as she would have a strong finish on the hills. 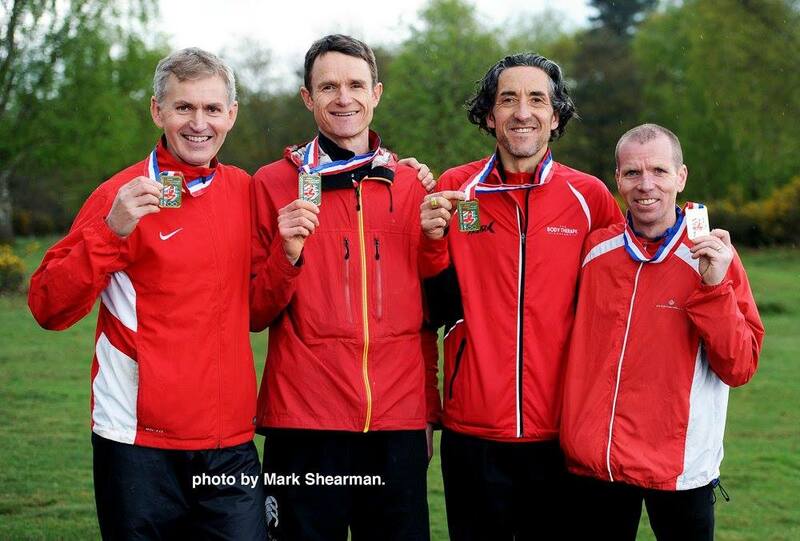 Cambuslang Harriers enjoyed a fair bit of success last weekend at the British Masters Road Relays. The Glasgow club’s V45 quartet took the gold medals with a fine team performance and are pictured here (L-R) Chris Upson, Justin Carter, Kerry-Liam Wilson and Stevie Wylie (photo courtesy of Mark Shearman). The V55 three-man team of Alick Walkinshaw, Frankie Barton and Brian Hughes took golds and there was an individual silver medal at V65 for Frank Hurley for the fastest lap in that age group. Cumbernauld AAC were also represented with a top ten finish in the V45 category. *More details on the Cambuslang Facebook page. 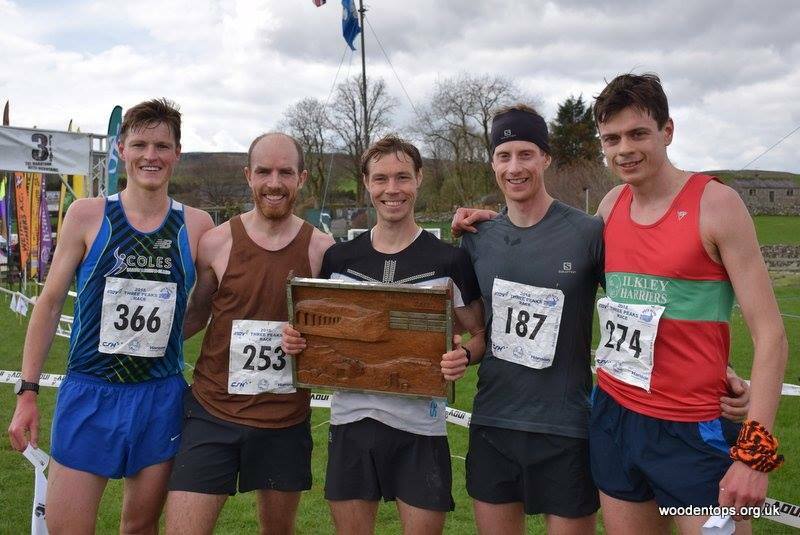 There were strong performances in hill running by Scottish athletes at the Three Peaks race over the weekend. 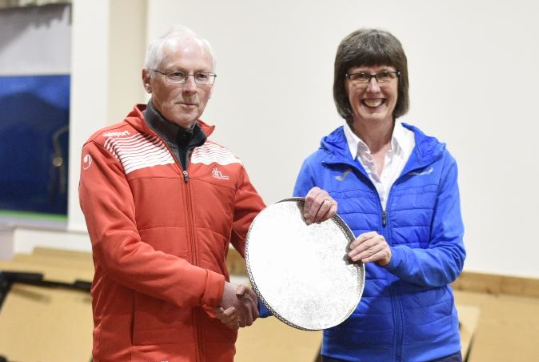 Tom Owens of Shettleston Harriers took the title in the 64th edition of the Three Peaks event and there was a second place for Murray Strain of Hunters Bog Trotters. And there was a fine second place in the Women’s race for Georgia Tindley of HBT.